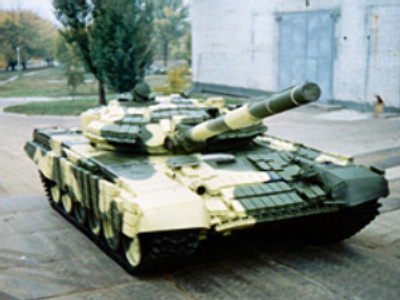 Nearly 900 Russian T-72 tanks, practically an army, is stuck in Europe amidst NATO member countries because of the political caprice of a new member of the EU. The government in Lithuania is refusing to allow Moscow the use of its rail network to transport soviet-era armaments from Kaliningrad back to Russia, reports the Kommersant Daily newspaper. Military officials are now faced with the task of moving nearly 900 tanks by sea, which makes the process longer and more expensive. It’s reported that the tanks from Kaliningrad region are destined to be sold to Africa or Latin America. The Kaliningrad hardware, based in Russia’s westernmost Region, originally belonged to the Soviet 11th Army. Its 100,000 soldiers were poised to burst into Europe in case of a major conflict with NATO. The 11th army was disbanded in 1997. Since then, Russia was has been withdrawing the equipment. The work was expected to be finished in 2008. In September 2008 the first train loaded with 40 T-72 tanks went through Lithuania to Russia. But without explanation, the Lithuanian authorities refused to let Moscow transfer the rest of the tanks by railroad. Prior to that, Lithuanian politicians unanimously supported the demilitarisation of territories near their borders.